We know you have a lot going on, and it’s hard keeping up with everything happening on social media, so we recapped it for you. 1-year-old Olympia couldn’t decide whether to cheer for mommy Serena, or Aunty Venus on Thursday during opening day at the Mubadala World Tennis Championship in Abu Dhabi, so she just clapped for them both! Performers for Aretha Franklin’s Tribute Concert announced. 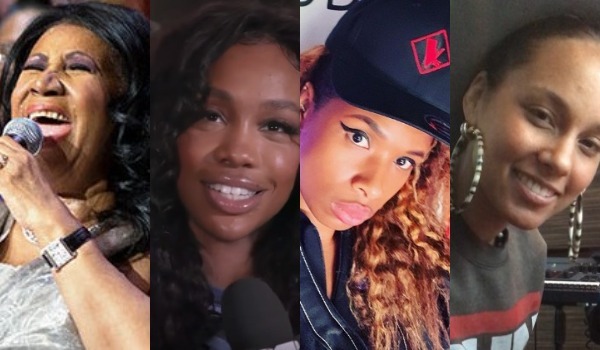 List includes Patti LaBelle, Jennifer Hudson, Alicia Keys, SZA, and more. “Aretha: A Grammy Celebration for The Queen of Soul” is set to take place on Jan. 13 at Los Angeles’ Shrine Auditorium, including performances by Patti LaBelle, Jennifer Hudson, Alicia Keys, and SZA to name a few. Put on by Clive Davis, the tribute will be dedicated to the late Aretha Franklin, who passed at 76-years-old in August after losing the battle with pancreatic cancer. The event will be hosted by Tyler Perry, and will air some time in 2019 on CBS. Although the aforementioned performers created the most buzz (and quite a bit of controversy as well) other big name performers include Janelle Monae, Yolanda Adams, Shirley Caesar, John Legend, and Common. Michelle Obama was voted 2018’s most admired woman in America in Gallup’s yearly poll last week. Obama won by a hefty margin of 15%, followed by Oprah Winfrey (5%) and former First Lady Hillary Clinton (4%). Obama dethroned Clinton after holding down the #1 spot for the past 17 years straight. According to Page Six,, Tyra Banks will not be returning to ‘America’s Got Talent’ in the new year. A source close to Banks told the site, “‘Life Size-2’ went way beyond expectations… it was Freeform’s biggest premiere of the year… executives were over the moon with the cult classic sequel.” The source also said that “Tyra’s been inundated with producing and acting requests… she wants to produce and create TV. She will not be returning to ‘AGT’ in the new year.” On to bigger and better things!